Earlier this year a straightforward warning was issued over in the UK: that every single organisation there faces the threat of a cyberattack… now a new report by the National Cyber Security Centre (NCSC) has shone a spotlight on a particular sector, explaining why perpetrators are drawn to it and providing guidance on how to mitigate the most significant risks that carries relevance well beyond UK shores. 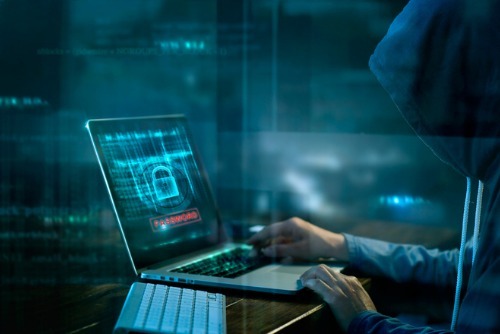 “There are several factors that make law firms an attractive target for cyberattack – they hold sensitive client information, handle significant funds, and are a key enabler in commercial and business transactions,” said NCSC in The cyber threat to UK legal sector 2018 report. “The risk may be greater for law firms that advise particularly sensitive clients or work in locations that are hostile to the UK. The report – which was compiled with the help of the NCSC’s in-house cybersecurity experts, the NCSC-sponsored Industry 100 scheme, the Law Society, the Solicitors Regulation Authority, the UK’s national fraud and cybercrime reporting centre Action Fraud, and the National Crime Agency – cited phishing, data breaches, ransomware, and supply chain compromise as the biggest cyber threats to the legal sector. Available on the NCSC website, the report aims to encourage industry-wide adoption of cybersecurity best practice and offers links to several guide documents. “From a cybersecurity perspective, law firms have long been considered the soft underbelly of professional services firms, though we have seen many larger firms investing more in cyber security following incidents like the Panama Papers leak,” noted JLT Specialty partner Colin Taylor in a statement published by Legal Futures. Commenting on the new resource, Taylor said law firms must see to it not only that potential losses are sufficiently covered but that all staff are suitably trained to spot ‘red flags’. Taylor stressed that controlling partners could be held accountable if it is found that appropriate checks and measures were not implemented to manage the risk. “This would fall outside of a firm’s professional liability cover and be an unpaid loss unless directors & officers cover is in place,” added the insurance executive.